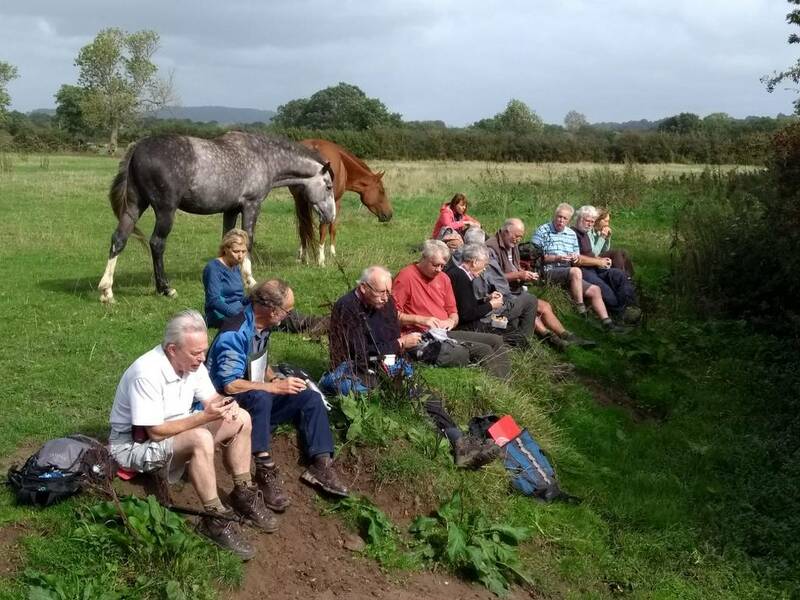 The day was sunny and not too hot but it failed to bring out more than nine walkers, who set off in three cars and all chose to avoid the motorway network following a series of more or less winding roads to the Forest Glen car park at the foot of the Wrekin. 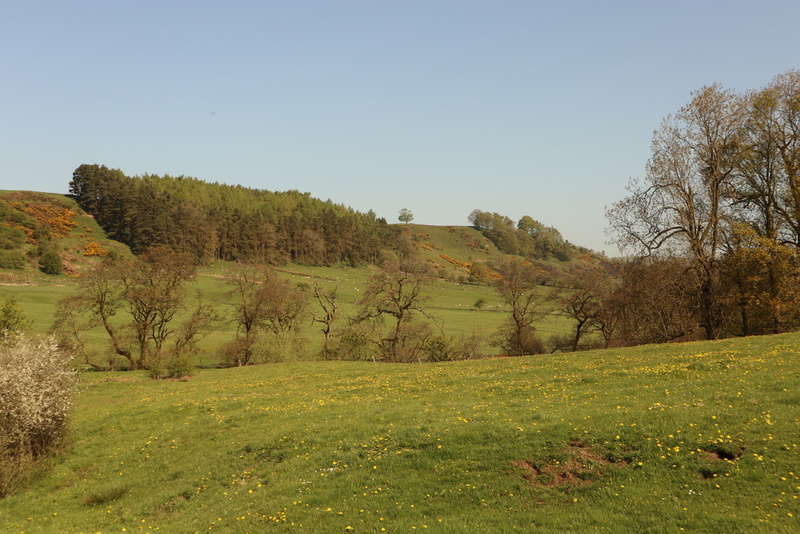 We have seen this hill from various other high points in our wanderings as it stands high above the Severn Plain and the smaller hills of Shropshire. It rises to a height of 1,335 feet above the surrounding plain and from the summit the next highest point, travelling due east, is in the Ural Mountains. Check your atlas. The car park was nearly full and we met a large number of people walking up or down the wide path. Most were women wearing gym kit some carrying infants in slings. One suggestion was that this was a visible sigh of relief as their children had gone back to school after the long holiday. 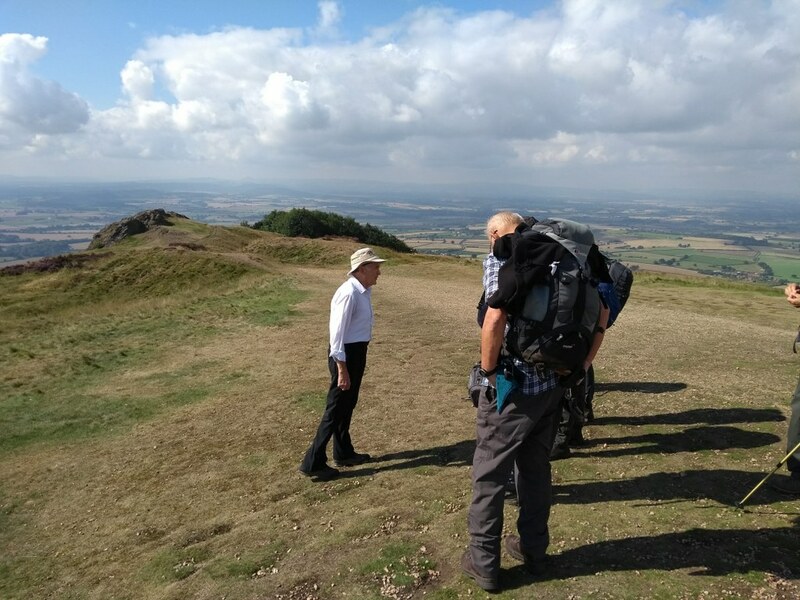 Stephen told us that the Wrekin is formed of some of the oldest rocks in Britain, and indeed the world. He promised “pretty pink stone” but it was nowhere near as pretty as he made out and, as we walked over it, the stone was more salmon than girly pink. Although Stephen gave us tales of geology, there are other explanations. 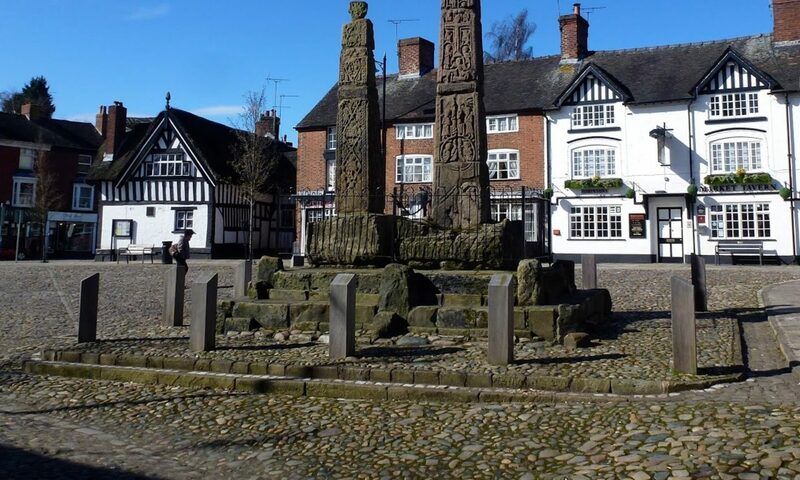 A wicked Welsh giant had a grudge against the people of Shrewsbury. He set off with a great load of earth to dam the River Severn and flood the town to drown its inhabitants. On his way, he met a cobbler carrying a sack of boots to repair, and asked him for directions to Shrewsbury. The quick-thinking cobbler, realising the giant’s evil intent, claimed that he’d just walked from Shrewsbury himself, and had worn out his entire load of boots in so doing. 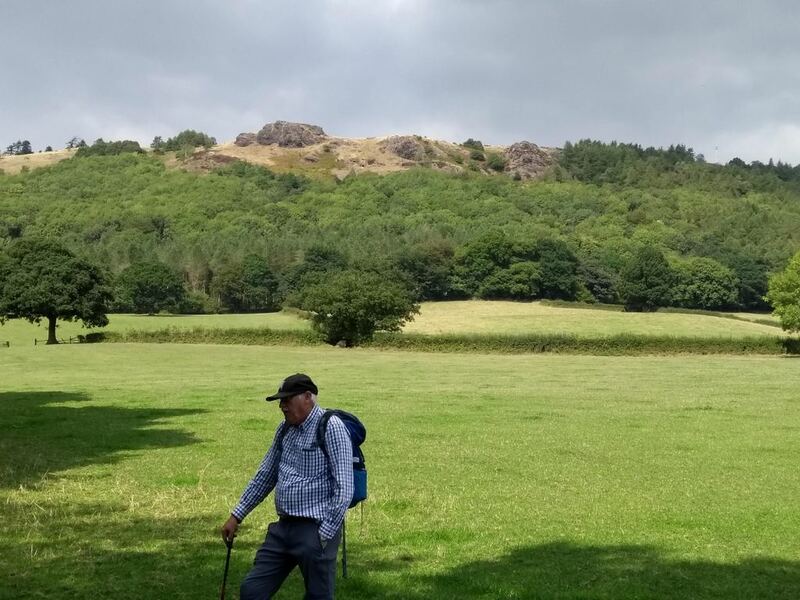 The giant groaned in despair and dumped his load of earth where he stood to form the Wrekin. Stephen doesn’t believe this story. 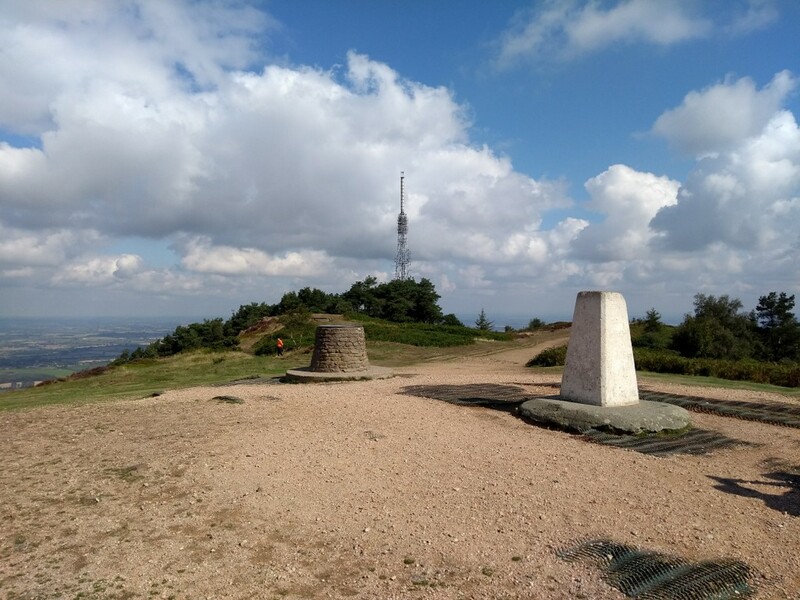 The Wrekin takes its name from the Roman town of Viroconium, whose remains lie about five miles to the west. The Iron Age Britons living here built earthworks enclosing a 20-acre hill fort but they are not obvious to the casual observer today. 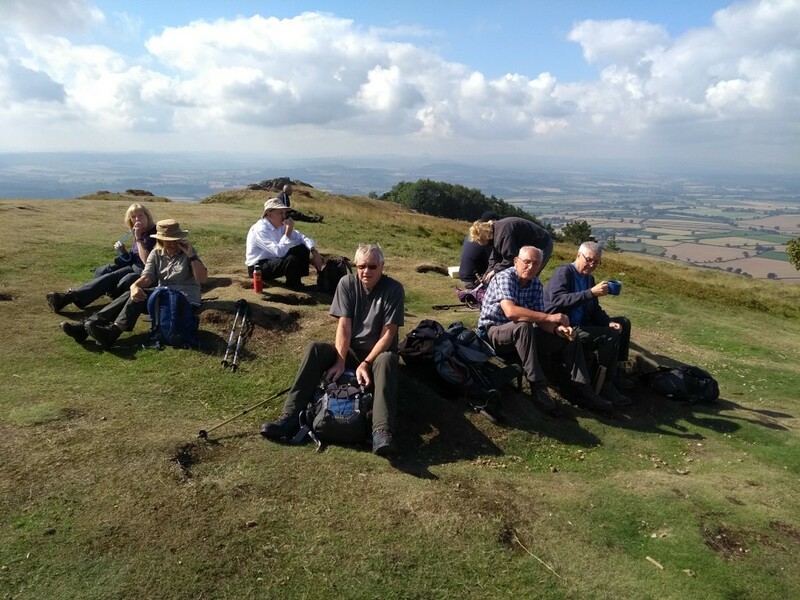 The coffee stop was scheduled on the top near the trig point and topograph (the plaque sited on the top of high places to show visitors where to look for far-off places of interest). We used the topograph but, although sunny, it was too misty to make out many points in the distance; the river Severn was visible in parts and the Long Mynd dominated the horizon. Our attention was drawn to a man dressed in all the gear to fly off the top of the hill using a parafoil (there is a picture). Unfortunately the wind was sufficient to lift his parafoil but not enough to take him up with it. While we were on the top, he repeatedly tested the wind and was disappointed each time. Stephen lectured us on the geography of the surrounding areas but didn’t list the 17 counties that are said to be visible on a clear day. The Fast Find device had an airing and some wondered if the helicopter that followed us most of the day was responding to its inadvertent call. Since the device was still in one piece, we decided that we weren’t to blame. 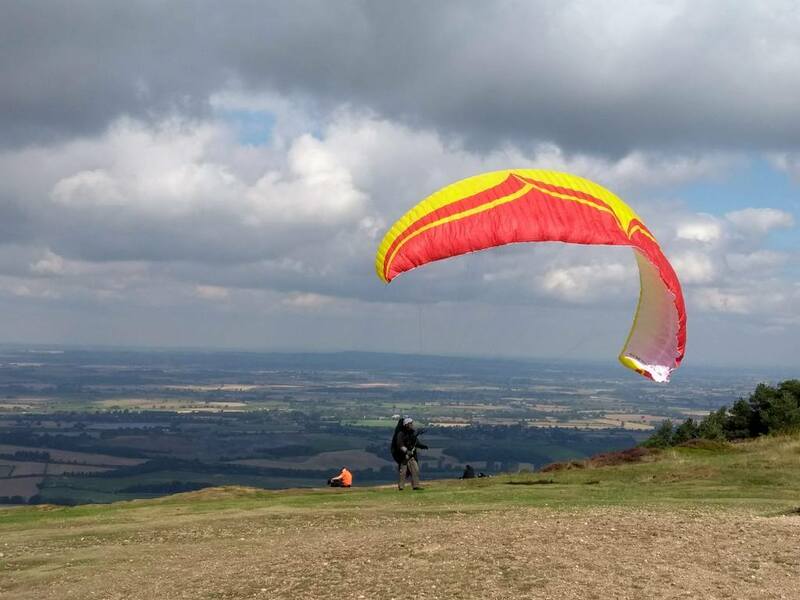 Giving up on seeing the enthusiast fly off the summit, we took the Shropshire Way down to the south-west and what a time we had! The steep path down is covered in loose stone (probably volcanic) and we slowly tottered down more or less intact when we left the hill. The next stage gave us the benefit of a Quiet Lane. 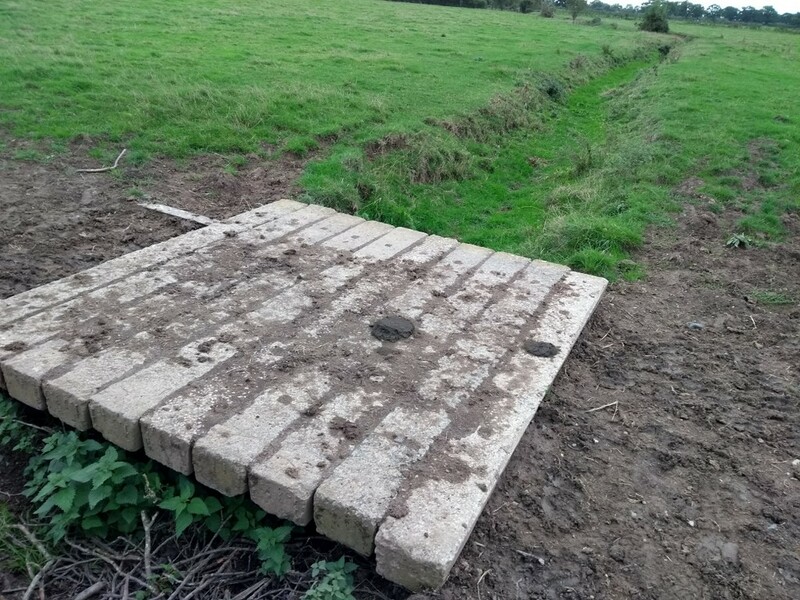 This was a novelty; the Department of Transport sets out regulations for the designation of such byways but we weren’t aware of what we could and could not do while using it, so we kept quiet. 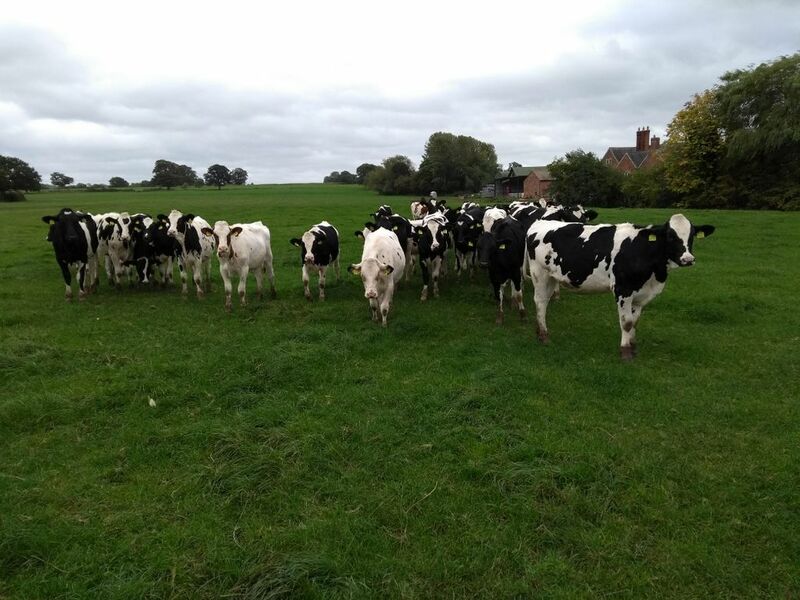 We eventually dived off the lane into a wood and found a field below the Wrekin suitable for lunch. Shortly after we left this field we found a farm with an apple tree sporting bright red apples – the sort that wicked stepmothers user to poison poor girls in fairy tales. Sadly, discipline broke down and several walkers stole an apple, although half the party hadn’t noticed the tree. The verdict from the scrumpers – hardly worth the bother. There is much woodland below the Wrekin and we wandered through large chunks of it, sometimes reversing when the path was the wrong one. We emerged by the 15th tee of Wrekin Golf Club, where we stopped for a drink. After we left Tom pointed out that we should have been quiet to give the golfers chance to perform well. This advice was rather late but try to remember for the next time we pass golfers doing their stuff. 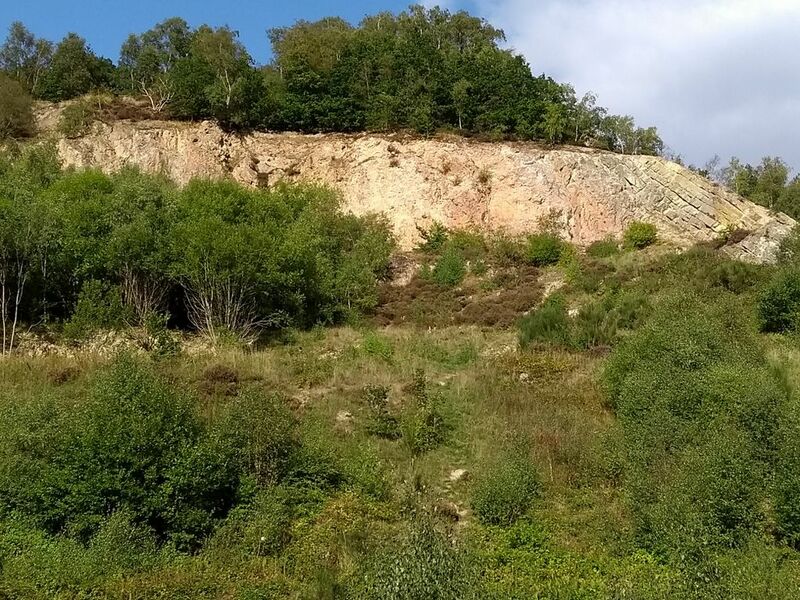 Just before we emerged from the woodland, we came across a geological delight – the Ercall Unconformity. This is internationally famous amongst geologists as it marks the change between the Pre-Cambrian, where there was very little life, and the Cambrian, where life suddenly exploded in lots of different varieties. 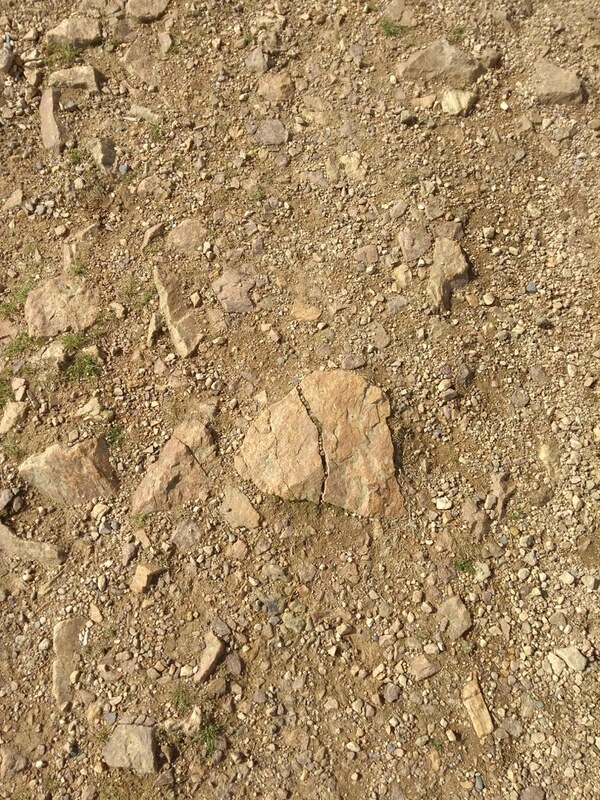 This is obvious from the picture where Pre-Cambrian granophyre (pink) is overlain by Cambrian quartzite, which has been tilted to the right. 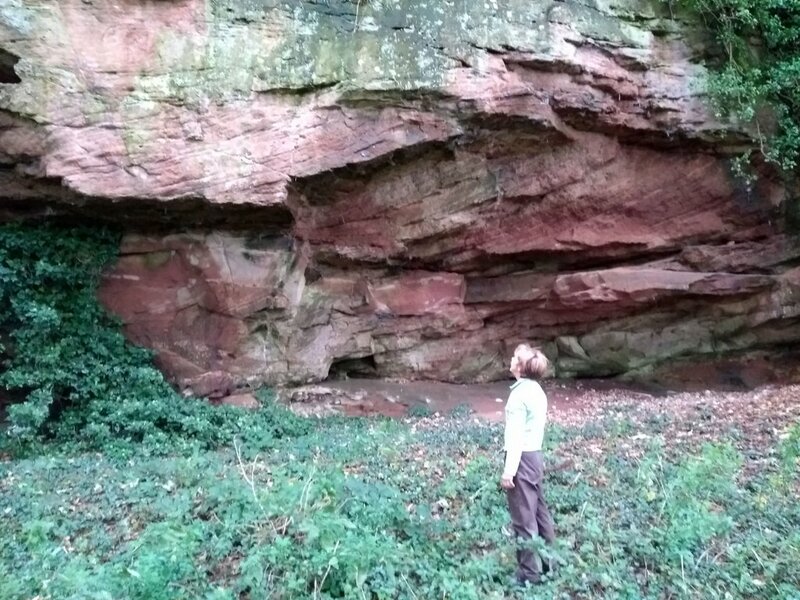 Not only did we see this unconformity gleaming in the sun but, we were able to touch the rock exposed by a fault and, according to Stephen, we could feel the grain of the rock to see which way the fault was moving. On this exciting note the walk came to an end. Car parking in Malpas is not bountiful and two cars parked by the church and the other two used the car park off the main street. 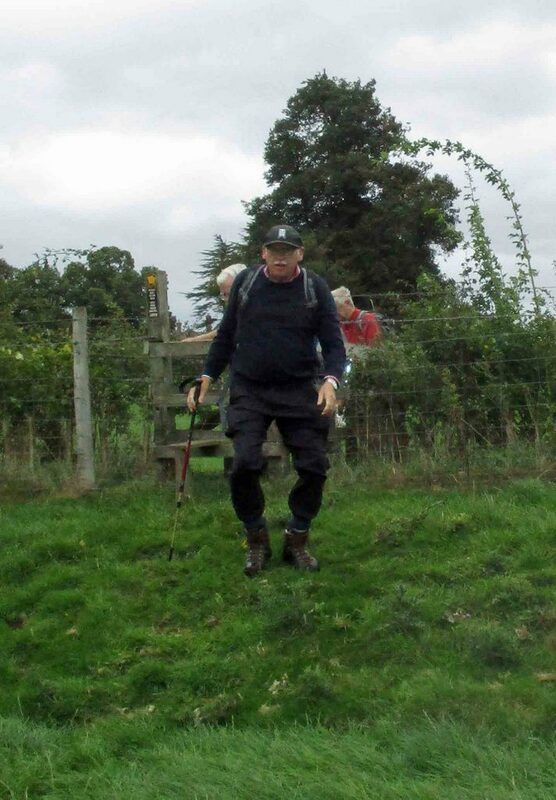 The walkers managed to come together and set off from the 14th century church of St Oswald. 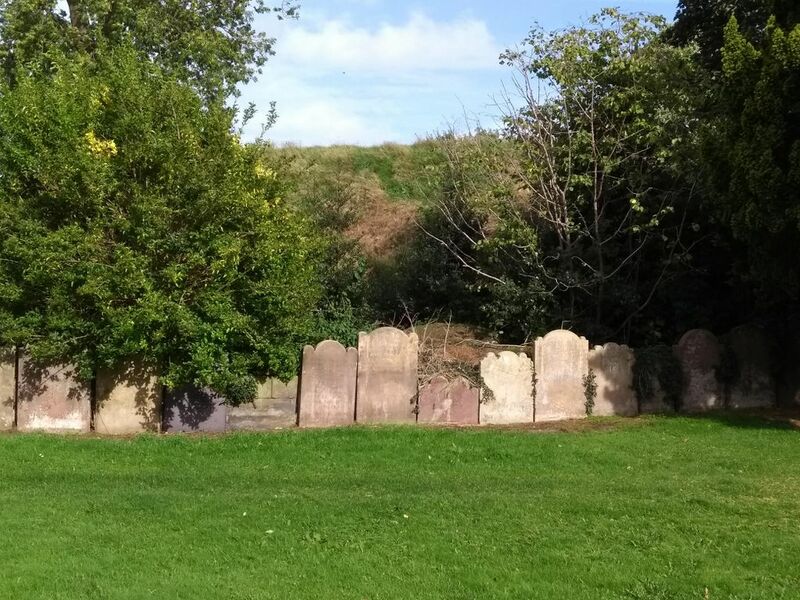 At the back of the churchyard sit the remains of the motte and bailey castle built here by the Normans. For fans of old castles this is a massive disappointment; what you see is, in Bob’s succinct phrase “a big lump of earth”. 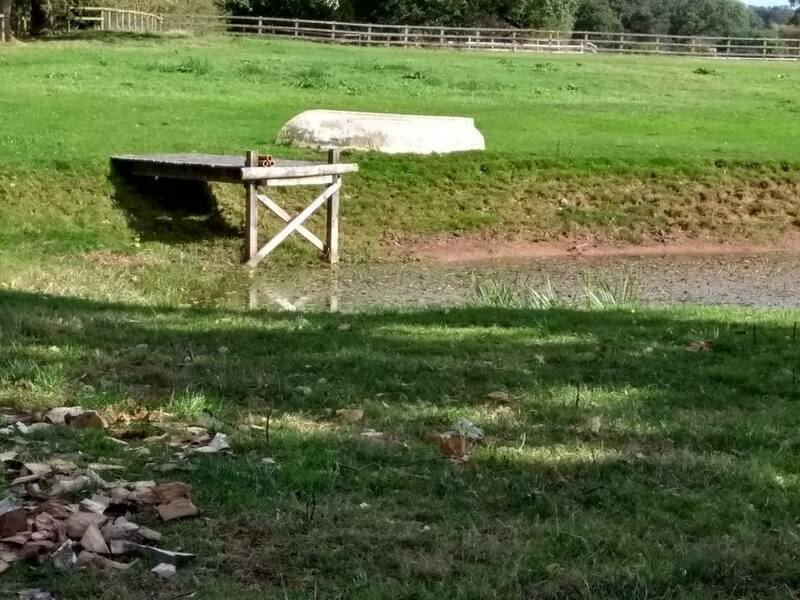 This was the motte; the bailey was the wall round the outside and this either rotted, if it was wood, or has been used to build something else. The Met Office had issued a weather warning because of the strong winds coming in with Storm Ali but we faced nothing worse than having hats blow off. The sun put in an occasional appearance but the weather was generally good for walking. We left all this behind and headed north west towards Overton Hall. 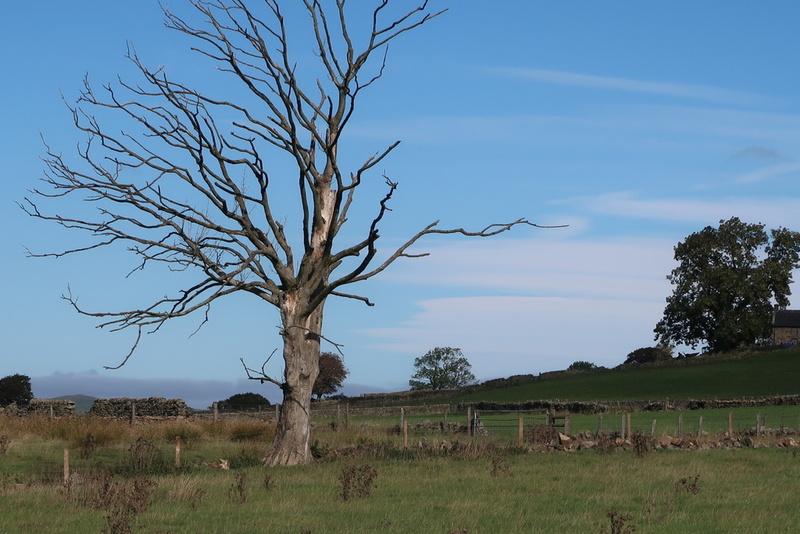 Near this farmhouse there is a long exposed sandstone cliff known as Overton Scar, which appears to have been quarried, and this is where we stopped for coffee. 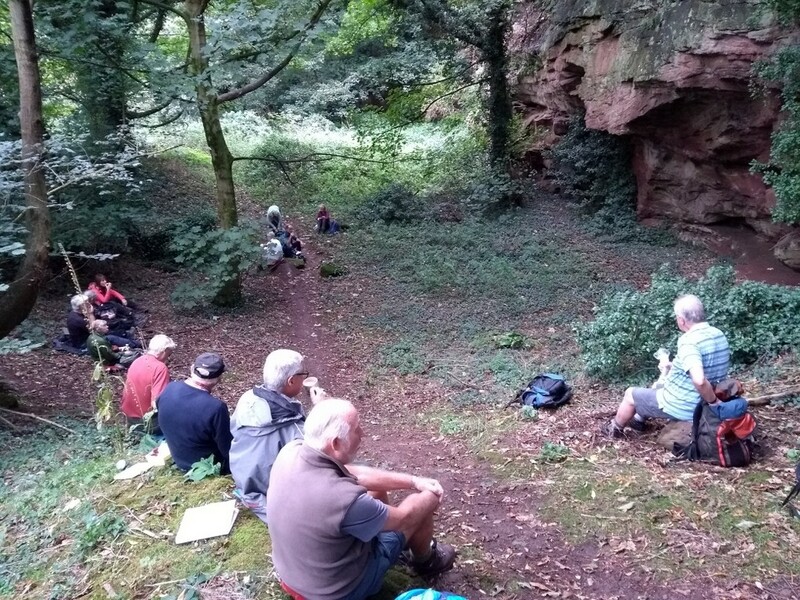 Stephen explained to some people that the sandstone here was laid down as dunes in a hot desert, as shown by the rounded layers. 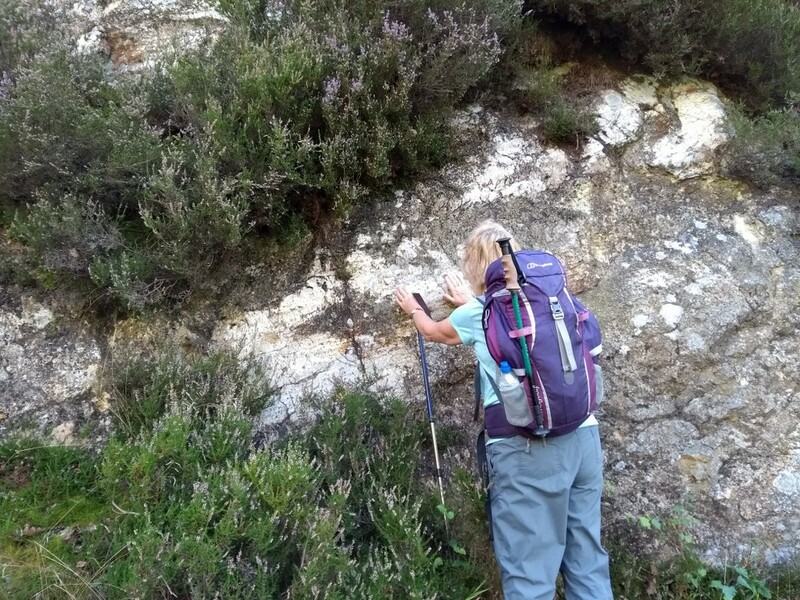 Elaine took a deep interest in the sedimentary layers especially for the picture. 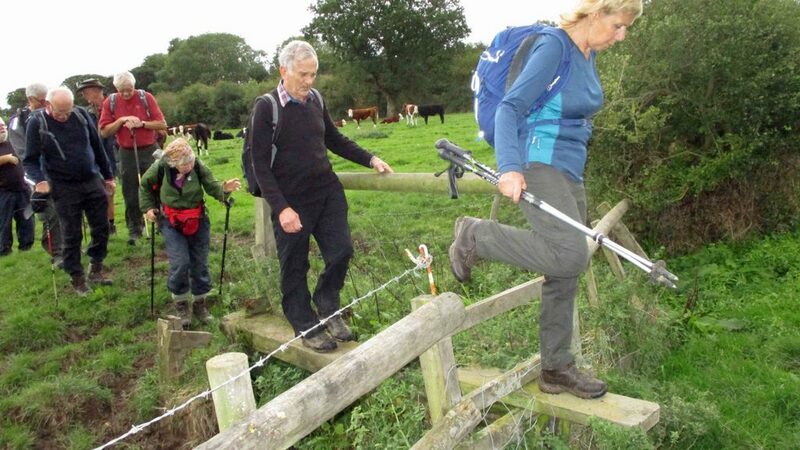 After coffee we wandered about for a while until the route to Shocklach became clear and we followed it into several fields containing bullocks, whose lives were suddenly energised by our arrival. 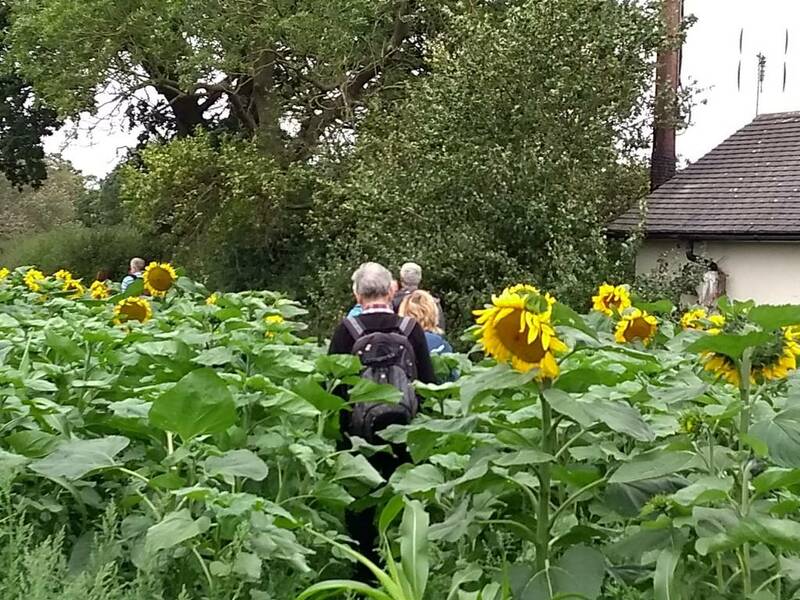 We plunged into a field of sunflowers, but the sun did not follow us. The big flowers look better in sunshine but it was a walk not an art class. 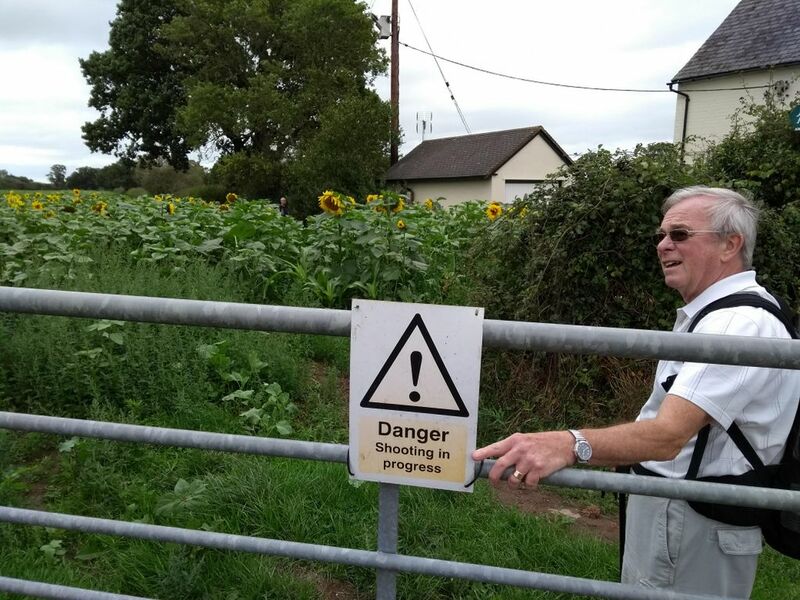 The first group to enter the sunflowers missed a sign on the gate saying shooting was in progress. If the shooting was indeed in progress, the shooters were very discreet and we were not disturbed.. 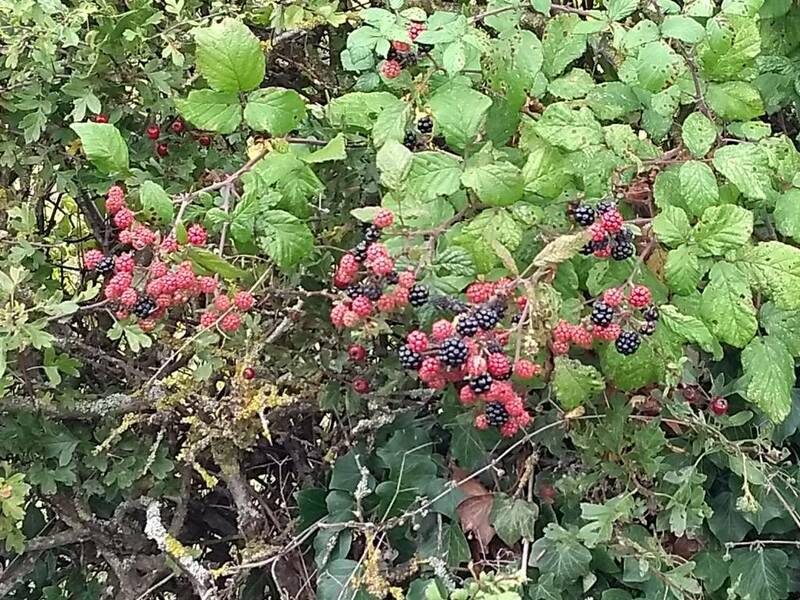 It was here that the plentiful blackberries were augmented by damsons, which was convenient as lunch had been postponed. 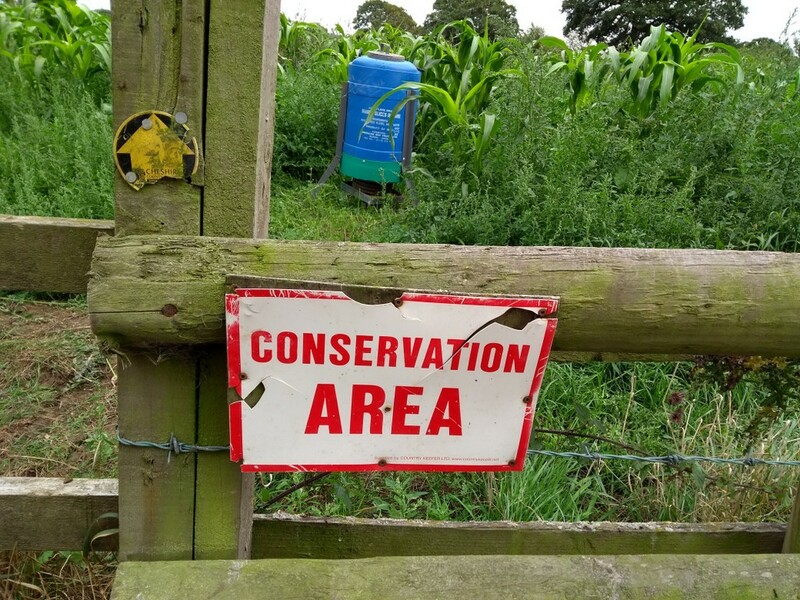 The exit from the field had a sign announcing a conservation area. This was confirmed by a feeder for game birds shown in the picture. The blue plastic barrel containing the food had previously held mango slices in brine. It sounds disgusting. 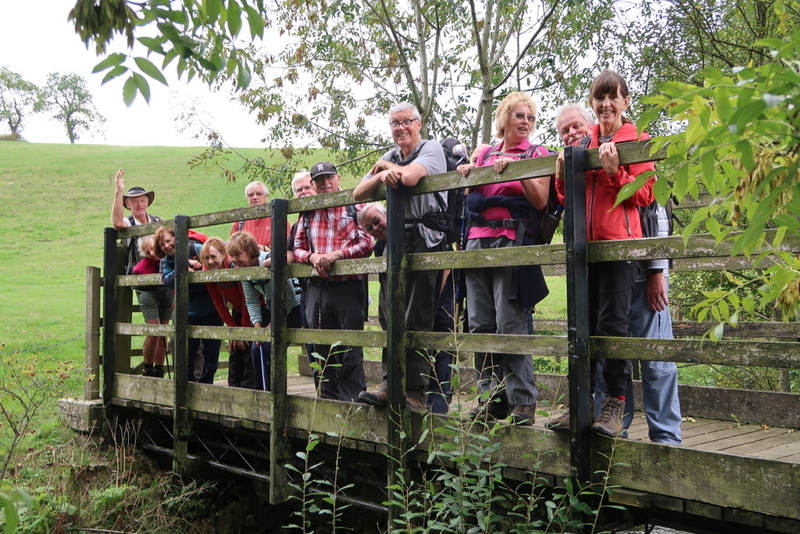 As we approached Shocklach there was an opportunity for a traditional bridge picture. Because nobody stopped on the bridge, it looks a bit sparse but it does show the dry ditch over which the bridge was built. Come back Ralph and bring some discipline to this rabble! 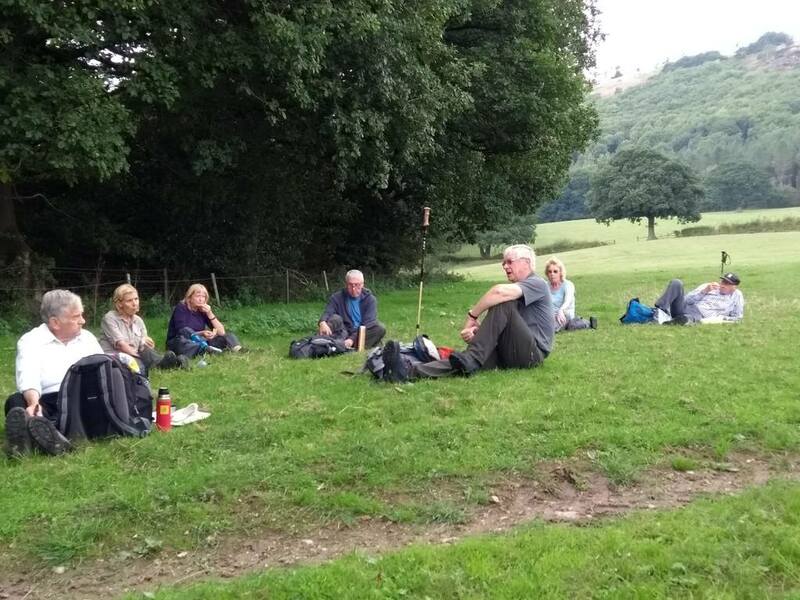 The leader offered a choice for lunch – sit at the outside tables of a pub or find a field. The ballot was held and delivered the wrong result; lunch was postponed again while we found a suitable field. This was along a road lined with heavily-laden blackberry bushes, which helped keep us alive on the long march. 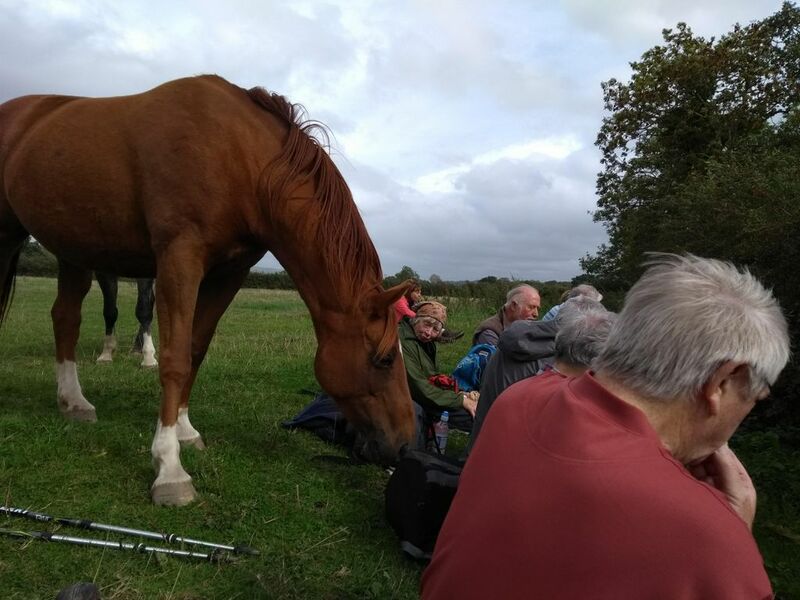 The field had seating of a sort; most of us sat on the edge of a ditch but a couple had to sit on the flat ground and were promptly targeted by two horses looking for whatever horses eat. 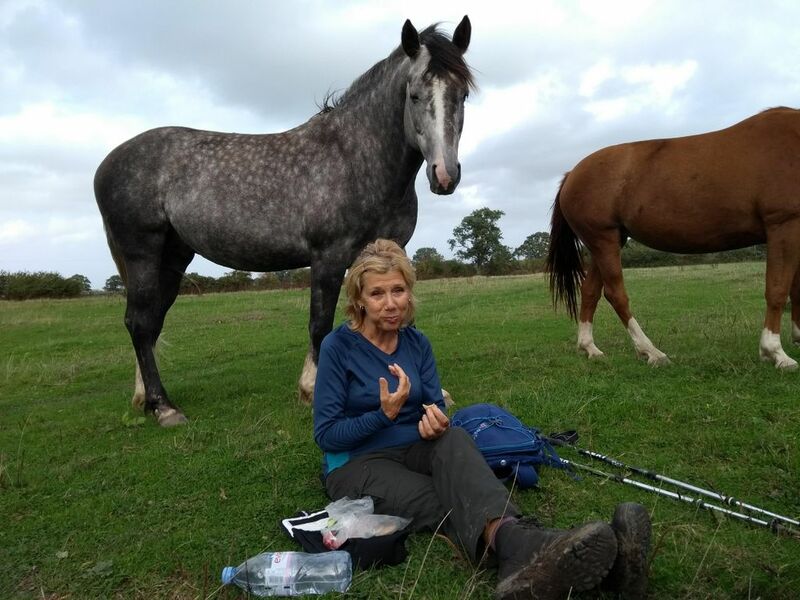 When a horse is nuzzling your back, you don’t to make too much of a fuss in case it turns round and kicks you into the ditch. They were worse than wasps which were rehabilitated in today’s papers for eating insects and pollinating crops. Doreen would have been in her element but wasps would have been easier to handle. 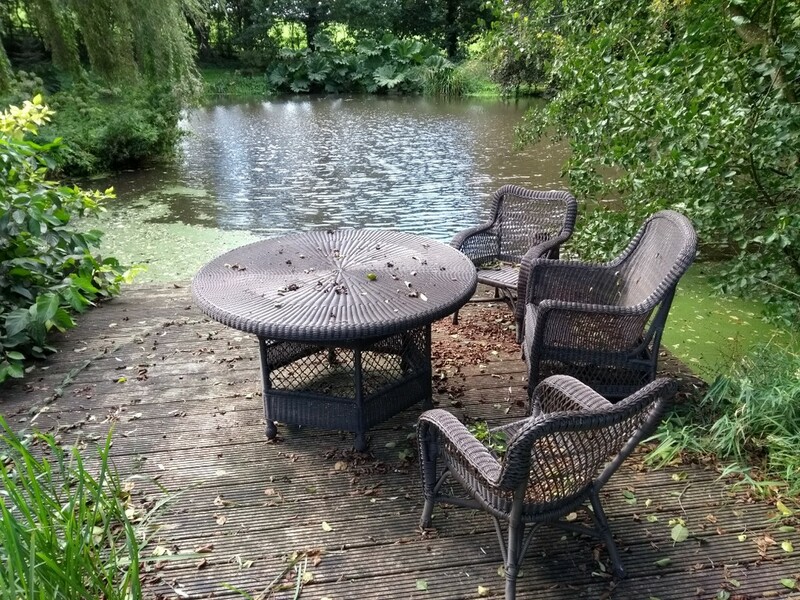 The path passed a house called Cherry Hill and its pond where some garden furniture lay abandoned as if the people had been snatched away. 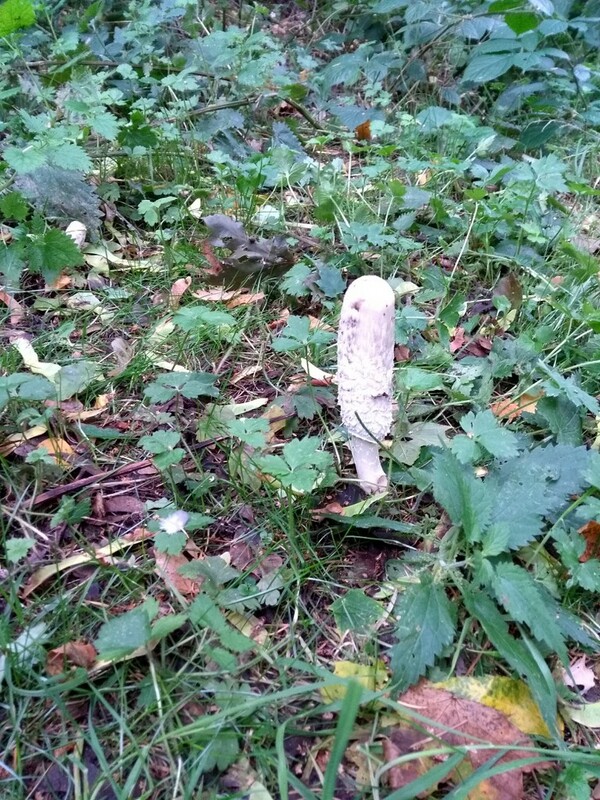 Along the path was a phallic mushroom; Christine declined to add this one to her collection of field mushrooms that she and Bob had collected earlier. Perhaps its long thin shape would fall out of her frying pan. On the outskirts of Malpas we passed a poignant scene, where a boat had been brought in to potter on a pond and a jetty had been built from which to board the boat. The dry summer had demolished this simple pleasure by removing most of the water and leaving the jetty high and dry and the boat upturned by the side. 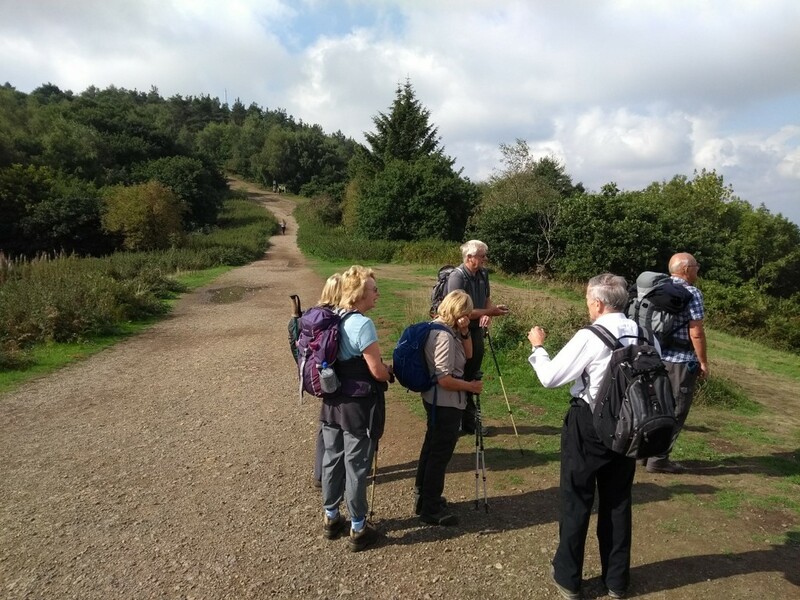 The walk took us from time to time on the Bishop Bennet Way, named after an Irish bishop with a keen interest in surveying Roman roads. His exertions while preaching a charity sermon, exacerbated by a recent attack of gout, are supposed to have hastened his death in 1820. What on earth is a charity sermon? Will someone get rid of this thing? 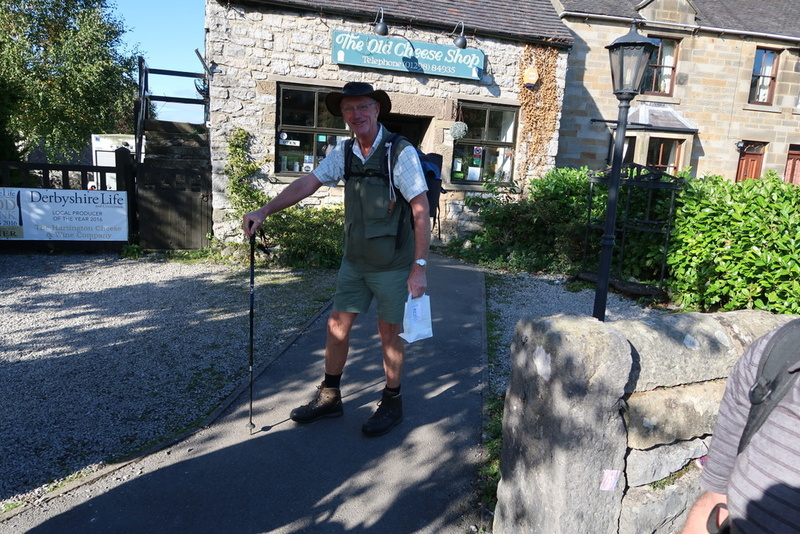 All the cars found a space on the Hartington car park by the duck pond and before we set off, some walkers bought cheese from the shop nearby as an extra treat. Our route north took us past the creamery site, which has been a feature of our earlier visits to the area. It has now been flattened and is currently a rubble-strewn building site. Having passed Sheen we stopped for a drink by more rubble that had been a drystone wall. This was our seating but the stones that had made up the wall were most unsteady and this led to complaints. One of the pictures gives a graphic illustration of the discomfort. 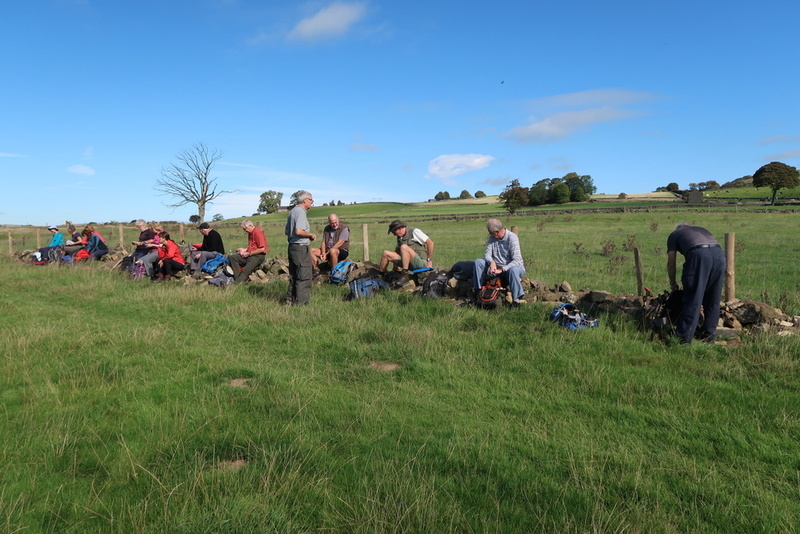 A woman was working on another drystone wall in the next field and, moving on from the refreshment stop, we met two well-equipped men building another one. 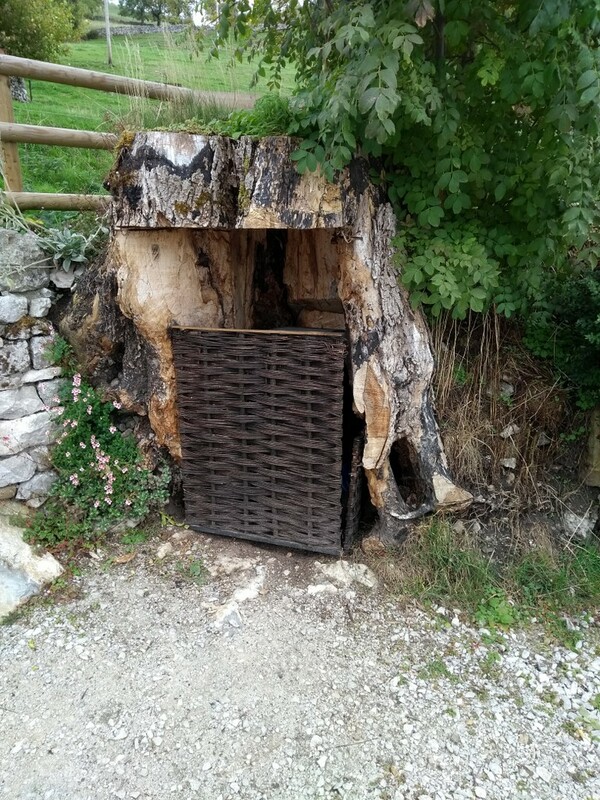 This resurgence of ancient crafts was very localised; we met no other drystone wallers on the rest of the route. 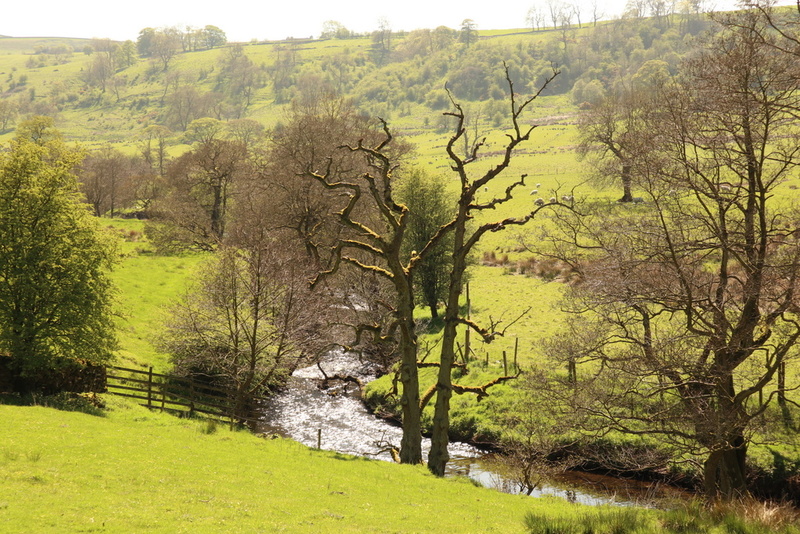 We followed the river Manifold up to Longnor where we lunched on the benches outside the old Market Hall. 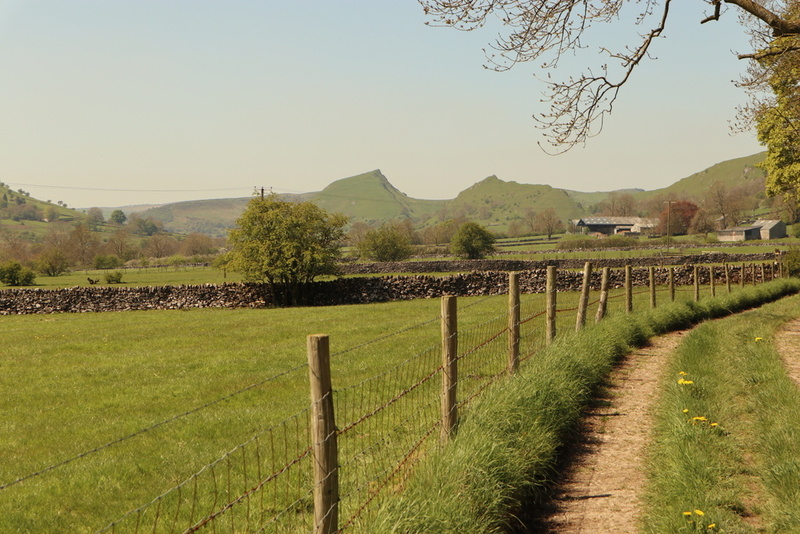 We left Longnor taking the path to Earl Sterndale with a view of Chrome Hill and Parkhouse Hill to the north but, instead of climbing the road between Aldery Hill and High Wheeldon, we turned south to Crowdecote. The signs we saw for this village had the spelling shown here but some maps show the name with an “i” instead of the middle “e”. They do it for devilment. 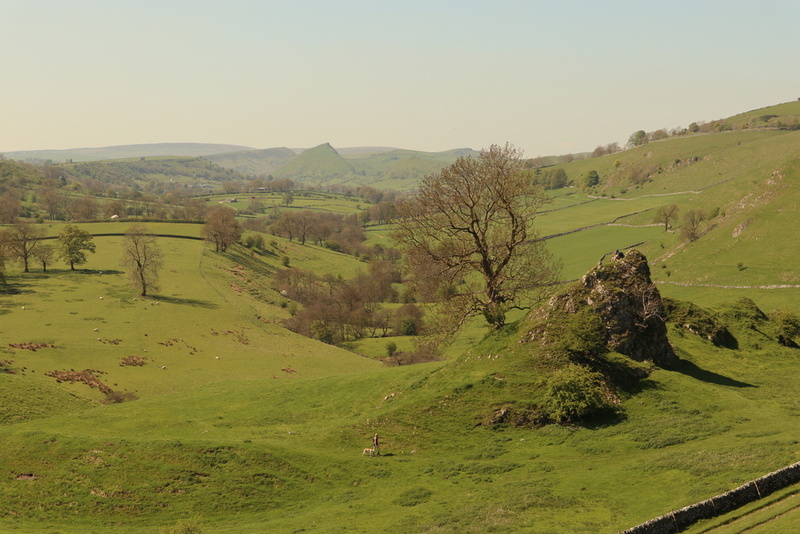 Following the river Dove towards Hartington, we stopped for another drink at Pilsbury Castle. 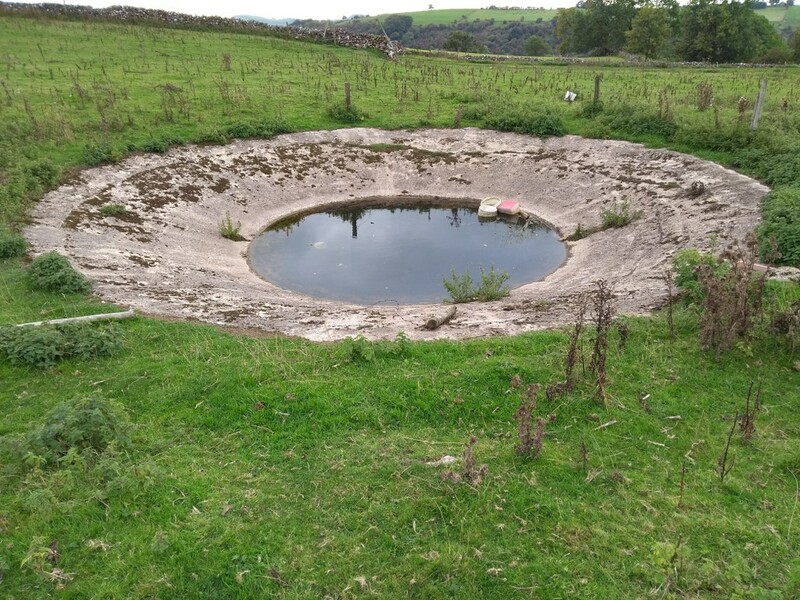 Although this is a scheduled ancient monument, there is not one stone piled on top of another. The only remains are the earthwork motte; the palisades surrounding the two baileys were made of wood and have rotted away. The Wikipedia description includes “may be” and “probably” such that the lack of information gives the clear impression that it wasn’t very successful and was abandoned soon after it was built. This fate will be familiar to people who bought a Betamax video recorder. 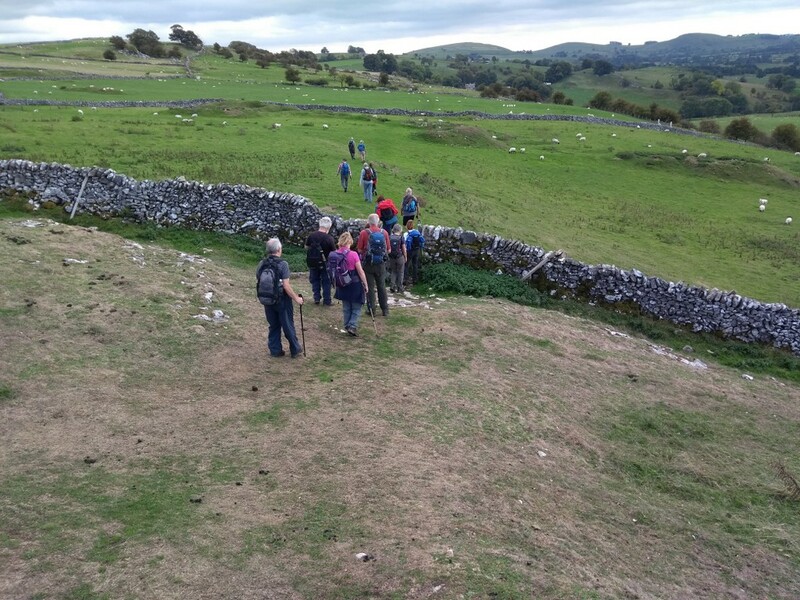 We had to climb out of the Dove valley to follow the path across Carder Low, which is dotted with abandoned mines. We avoided these hazards and made our way back into Hartington, where more walkers visited the cheese shop to take some home. The weather was pleasantly warm throughout and no rain or mist disturbed the extensive views.